I have a deep deep love for a band named Rooney. Anyone that knows me really well and sometimes not so well knows how true this is. It all happened in the 8th grade, when watching The Princess Dairy`s at my grandparents house in Houston. When a boy came on the screen with shaggy hair and a bitten smile across his face, my heart fell. I was hooked and curious on who he was, so like any good 8th grader I looked him up on the internet. 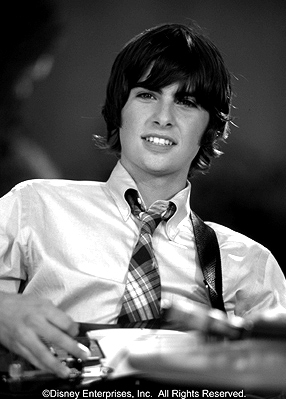 He`s name was Robert Schwartzman. Then under another link, was to a band name Rooney that he happened to be in. This link was opening so many cans of worms for my younger girl days. 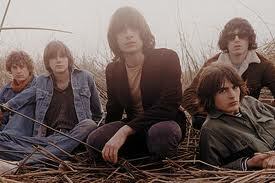 They were four boys living in Los Angeles with a tight style that I had never seen on boys before. Maybe in my dreams or in movies but never something semi close to my age. There music made me want to dance and was way a to let me break free from school and my very self conscious self. On a very horrible freshman Spring Break in Tampa, I was reading Elle Girl to pass some time. I came across a small article with Mr.Schwartzman in it. The one thing that stuck out in my brain was the fact that he liked the band The Cars. Being someone who loves 80`s music and loves The Cars couldn't believe a boy would like them. All of the boys I knew made fun of me for liking 80`s music. It went out side of their box of rap and country. My heart swelled with hope that something was out there for me. Boys like that would get me. Finally in the 10th grade I got to see my first show. It was a amazing fun night for me. I was free with the city lights of Atlanta bouncing around me and felt a happy high of possibility`s of anything. I could be me and not be judged. Over my high school years I frequented their shows with the same happiness of my first. My goal was to figure out a way for me to get to Los Angeles to pursue my dreams. I did, landing a slot in the school AMDA. My first week was one of shock. New location, away from the comfort home and new faces starring at me, wanting to know more. It was all a bit over whelming. My new friendly acquaintance Ali Vesey took me to my first In-N-Out on Sunset. Walking in I discovered to my surprise, in the line to order was Louie (the keyboardist in Rooney). I quickly explained everything to Ali. Her being a bit bolder then myself at that time went to where he was standing. We ended up chatting with him and hes mustached cousin for a little awhile. Eventually after our food was eaten we had to leave, but before we left Louie asked for my phone number. I was on cloud nine and still in shock. He never called though. Life moved forward leaving my first week in LA behind and entering the five year mark this past August. My love for Rooney is now of fondness . They still make me giggle but I think from what I can tell, they have grown into some pretty nice gentlemen. Rooney gave me hope.Without hope life would be very different now. They gave me hope during my school years.Which at times were very difficult and they created a outlet for me. Moving away from home gave me a different view of the band. It was then of comfort. These past five years have been of shedding old insecurity`s, figuring out what I want and need out of life, making great friends, feeling apart of something, discovering old friends again, dancing freely, smiling more,jumping in to creative parts, losing myself, finding myself once more and never again will I be afraid to be who I am. I even found my own special musician boyfriend who loves The Cars. We haven't seen a Rooney show together yet but soon very soon. 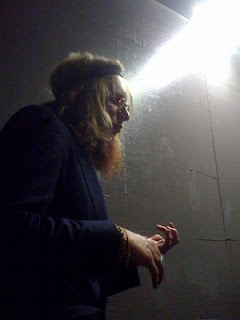 A photo of my special musician boyfriend. He spills light from his head. P.S. He no longer has a beard of that size. Images via Google and Miller computer. i don't know rooney, but i'm always on the hunt for new music, i'll have to check it out. Awww, Rooney!! I miss them. Haven't heard a thing from them lately. I met Robert while looking for his brother, during a Weezer show. I got to cuddle him and talk music... it was fantastic, and I will never forget that day. And yeah, he doooes love the Cars. Super cool and attractive man.